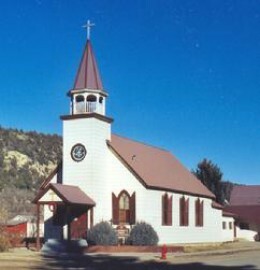 Update May, 2018: This church in Rico, CO was sold in May 2018. 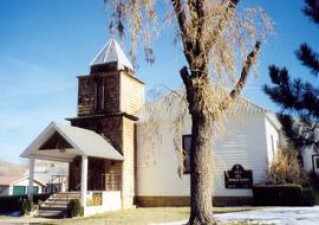 Immaculate Heart of Mary church is located in the mountain town of Rico, Colorado. It is a seasonal parish serving the summer tourists and residents who live in this beautiful mountain area. Rico is located at the base of Lizard Head Pass between Dolores, Colorado and Telluride, Colorado. 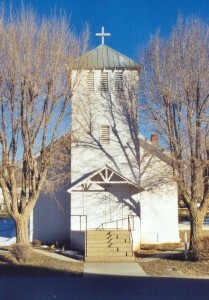 The church is situated high on a steep hill near early mining operations within the town. Rico grew as a mining town. 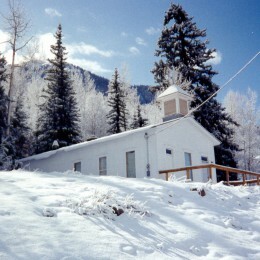 The church began as the town’s first schoolhouse. 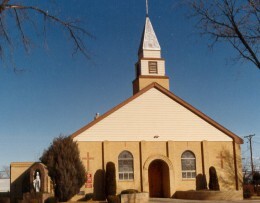 When population grew in the boomdays of the 1890′s, the building was deeded over to the Catholic Diocese and and the made into a Catholic church. 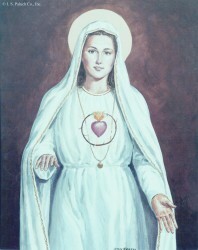 The church at this location became known as Immaculate Heart of Mary Catholic Church. For many years, Catholics in the Rico and surrounding areas were served by missionary priests who traveled great distances and under adverse travel conditions. Visits were sometimes infrequent.